overview of the diagnosis and management of this widespread and troubling disorder. Importantly, the book emphasizes that tinnitus is not one disease but a group of rather diverse disorders with different pathophysiology, different causes and, consequently, different treatments. This comprehensive title is written for clinicians and researchers by clinicians and researchers who are active in the field. It is logically organized in six sections and will be of interest to otolaryngologists, neurologists, psychiatrists, neurosurgeons, primary care clinicians, audiologists and psychologists. 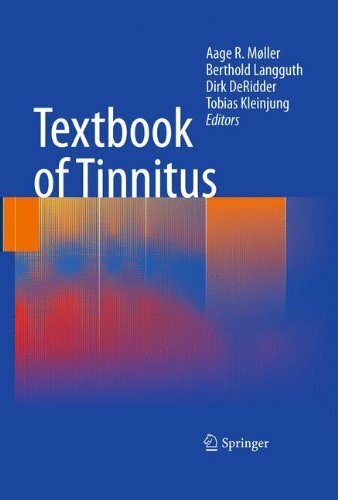 Textbook of Tinnitus describes both the theoretical background of the different forms of tinnitus and it provides detailed knowledge of the state-of-the-art of its treatment. Because of its organization and its extensive subject index, Textbook of Tinnitus can also serve as a reference for clinicians who do not treat tinnitus patients routinely.